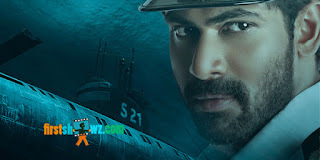 Rana Daggubati’s Ghazi has completed its censor formalities and the film has received clean U certificate with no cuts. It is now slated for a release on February 17. “We are glad to have completed the censor formality today bagging clean U certificate with no cuts. Ghazi is an untold story of 1971 India-Pakistan War and subsidence of PNS Ghazi near Vizag,” informed producers of the movie. Ghazi shot in Telugu and Hindi versions is directed by Sankalp Reddy and is jointly produced on PVP Cinema and Matinee Entertainment banners. The film is touted to be India’s first war-at-sea film.